With the weather treading warmer and Spring on the horizon, most of us are chomping at the bit to get outside! As Weather warms its also more Important than ever to carry and drink water. 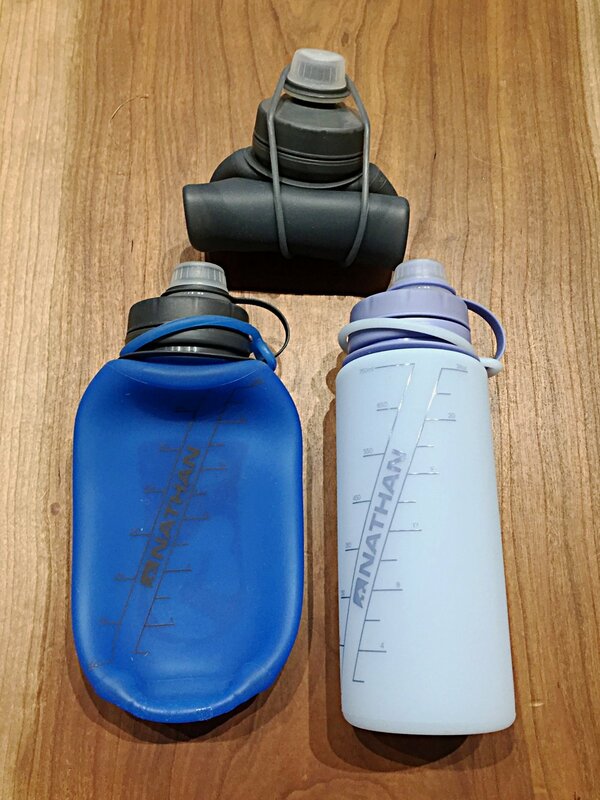 We recently started carrying this unique product from Nathan, A flexible 24 Oz water bottle made of silicone! (The bottle is BPA free.) You can roll it up when its empty to optimize space in your pack and when full it conforms to the items around it making it the perfect water solution for bike packing. The bottle is also a safe alternative to a hard bottle when trail riding or running because it will not push into your back and is much less likely to cause injury if you fall on it. Come by either shop today to check one out! The Nathan Flex Shot bottles sell for $19.99 each. Older PostShuttle Saturday #1 Recap!